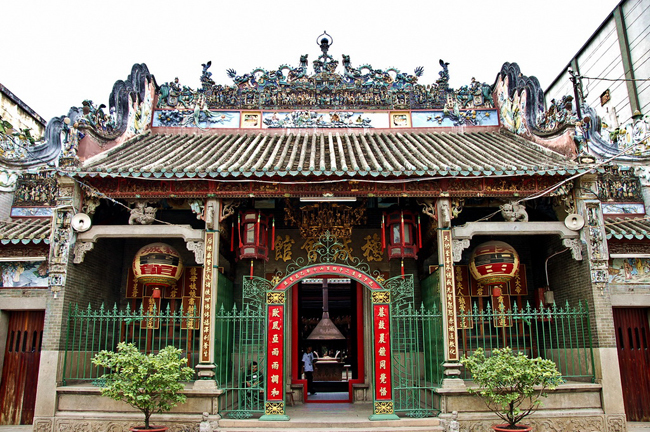 What makes Thien Hau Temple famous and worth a visit is that it is regarded as the most beautiful Chinese temple in Ho Chi Minh City. Situated in 710 Nguyen Trai Street, District 5, Saigon, the temple was built in a Chinese style. It is dedicated to Thien Hau, or also called the Lady of the Sea. 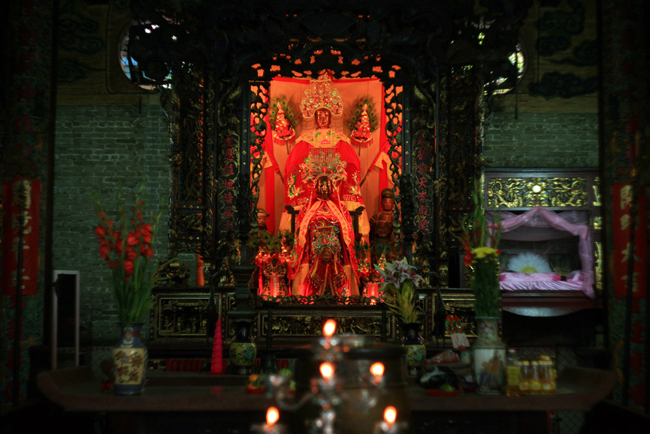 As a deity of traditional Chinese religion, Thien Hau is worshiped in the maritime provinces of South China as well as in overseas Chinese communities. 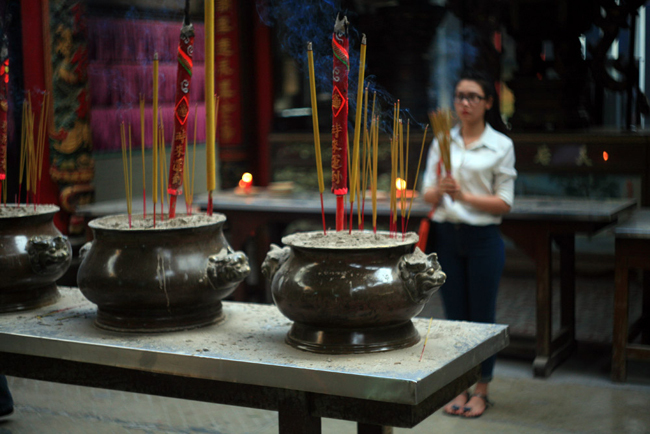 This site has played a significant role in the religious life of Chinese community in Saigon for centuries because here is an ideal spot for them to practice their belief. 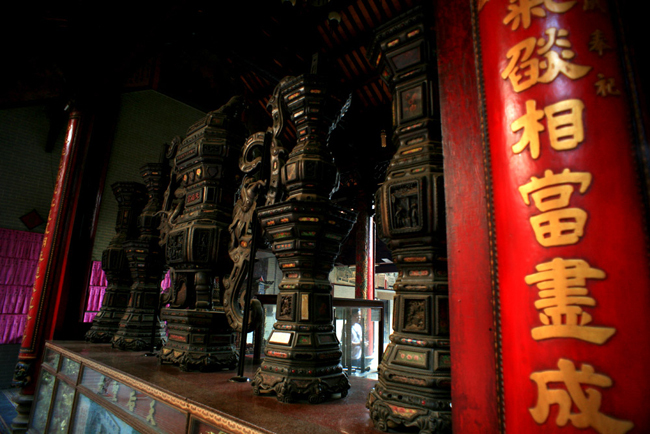 Thien Hau temple was also listed as a National Architectural Heritage Site in 1993. Built in 1760, it has also gone through many upgrades and restoration in 1800, 1842, 1882, 1890 and 1916, but still remains its original design and construction with the magnificent architecture of the Chinese people. The temple’s Chinese traditional style can be easily recognized through its three-door entrance, which offers visitors a clear and open environment on crowded days. Once inside, it is not hard to see a statue of Lady Thien Hau with 1 meter in height in the main shrine. A harmonious blend of the space and the magical light will surely make a memorable impression on you if you have an opportunity to experience. The truth is that most of the building materials used to construct the temple, such as tile, bricks, and ceramic, were transported from China to Vietnam and have been flawlessly preserved up to now. Guests’ heart is also won by the aesthetic bas-reliefs made of ceramics, which were used to beautify the walls, eaves, roof, and alters. 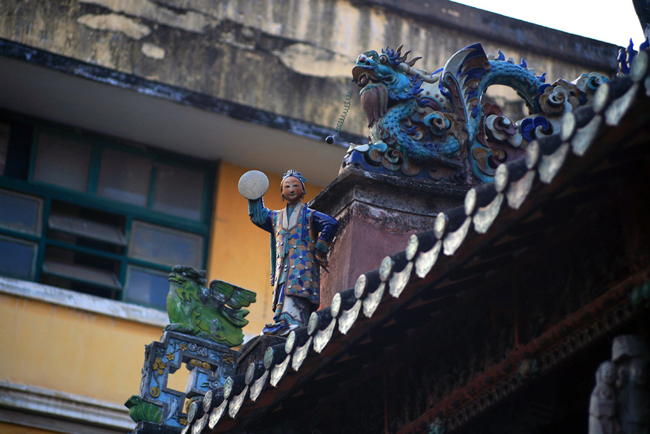 Especially, the roof was also decorated with many different sizes of ceramic statues. Don’t hesitate to watch closely and get further details about such statues during your trip to this historical site. 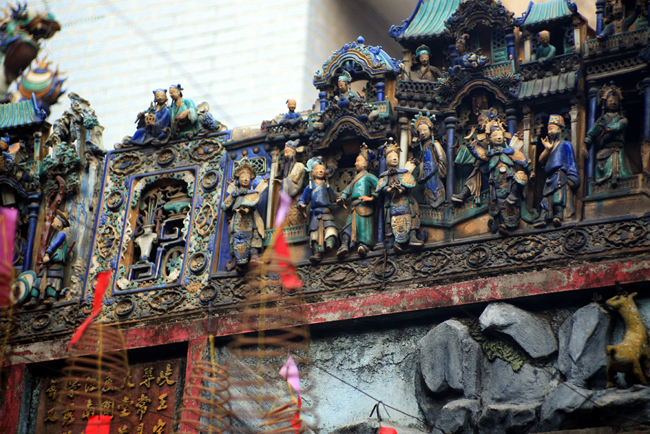 Thanks to the unique architecture of Thien Hau temple, not only locals but also foreigners share their common interest in this temple. For them, this is a good chance to explore the historical beauty of the ancient religious site as well as learn more about other regions. On the first days in a New Year, the temple usually welcomes a number of people to come and pray for peace, fecundity, longevity and prosperity. There are also lots of incense coils suspended above the main worship area. Visitors who frequently come to the temple will purchase these coils, attach their names to these, and then hang them on the ceiling of the temple. According to their belief, when the incense smoke curls steadily upwards in the air, their prayers and wishes are also delivered to the deity following the smoke. Many of the incense coils are large enough to burn for several weeks. 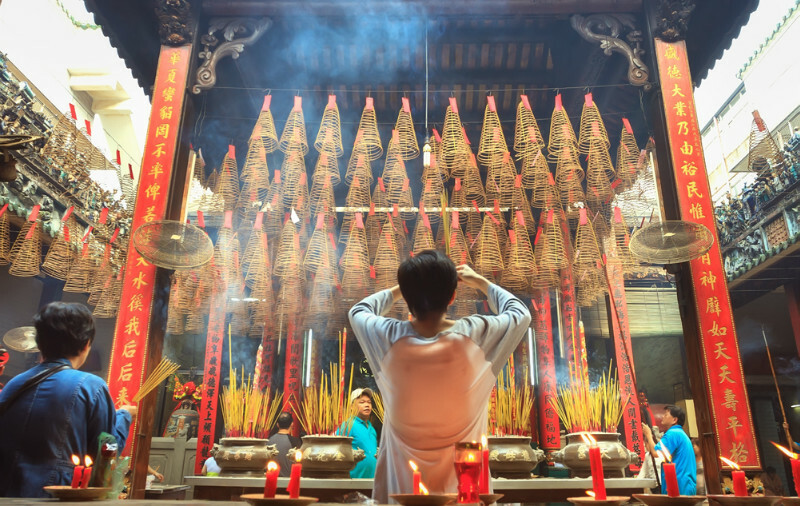 Since the Thien Hau Temple is often crowded and busy, especially at weekend, you are advised to visit here in the early morning to have yourself dipped with the ancient, solemn, and tranquil atmosphere as well as gain unforgettable experience for your travel in the city. Dress politely and keep silent when the monks are in prayer!